The Dallas Mavericks visit the Pepsi Center tonight for a clash with the Denver Nuggets, the Western Conference’s top team, that is looking to close a four-game homestand undefeated. 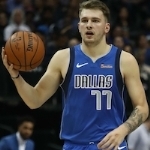 After winning just 24 games last season the surprising Mavericks have already won 15 this season thanks mainly to the amazing play of rookie Luka Doncic, who’s emerged as the undisputed leader of the team and the leading candidate so far for the Rookie of the Year award as he has basically revitalized their offense. He’s not only a skilled scorer and passer but also capable of creating plays and improving the game of those around him as he’s the engine of their offensive game. Last year the Mavericks lacked a go-to guy and didn’t have enough playmakers and this year they have both. Not only that, but they also improved defensively and on the board thanks in part to the play of former Clipper center DeAndre Jordan. Doncic and Jordan are just some of the new faces that have helped the Mavs markedly improve this season and be more competitive. If the Nuggets want to finish this homestand with a 4-0 mark they need to focus on stopping the Mavs’ pick and roll game and swarm Doncic to create traffic in front of him and break his isolation plays. Doncic is currently averaging about 18 points per game and Denver will need an entire team effort in order to stop or at least contain the talented Slovenian first-year player. 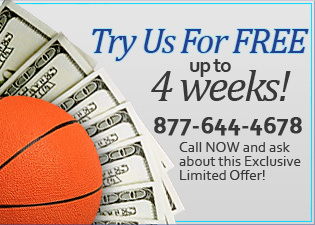 Of course, the Nuggets need to continue to excel at the things that have carried them here so far, such as taking care of the basketball, great three-point shooting, and a dominating defense that has allowed them to hold their last six opponents at the Pepsi Center to under 100 points on their way to a 6-0 record in that span. The Nuggets have been badly hit by the injury bug recently and as a result, their rotation is thinner than usual so tonight they must find a way to defend without fouling as they can’t afford to get in foul trouble early. Nikola Jokic, who’s been leading the way for Denver averaging 25 points per game during the current homestand, will need to step up aggressively for them again in this game as the Nuggets continue to deal with the injuries to several of their leading scorers.